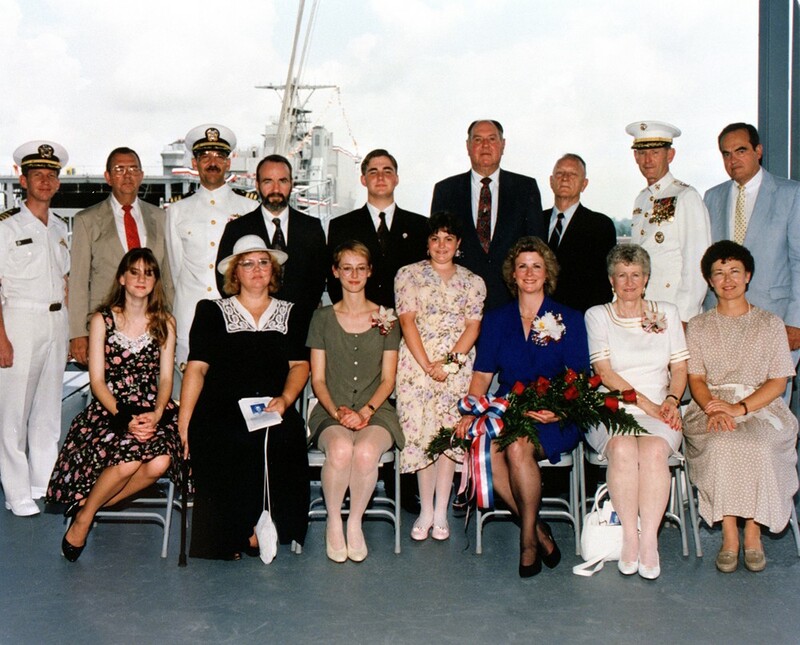 Laid down, 21 September 1992, at Avondale Industries New Orleans, LA. 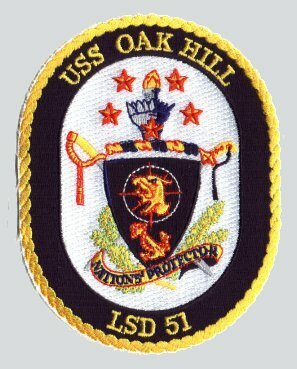 USS Oak Hill is assigned to COMSURFLANT and is homeported at NAB Little Creek, VA.
46k USS Oak Hill (LSD-51} underway, date and location unknown. 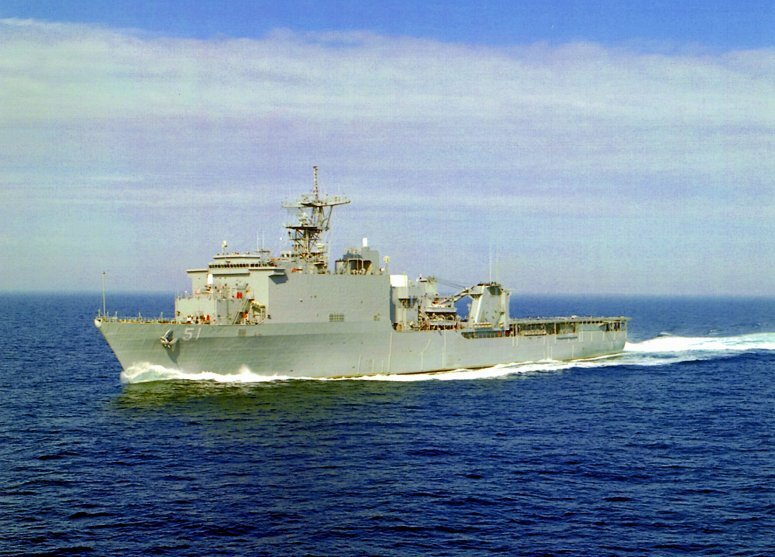 41k USS Oak Hill (LSD-51} underway, date and location unknown. 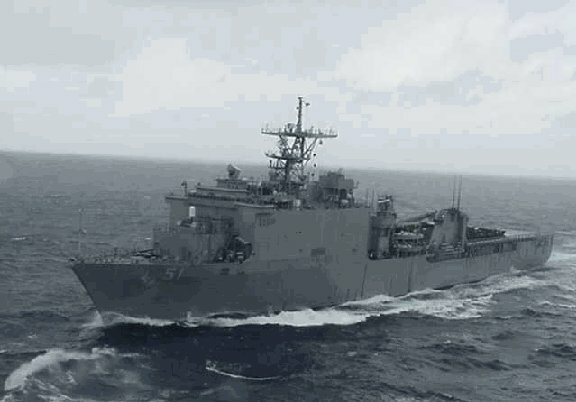 66k USS Oak Hill (LSD-51} underway, date and location unknown. 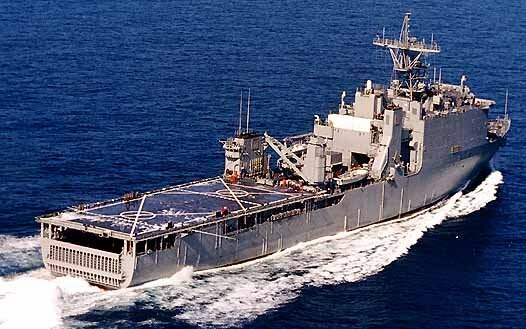 93k USS Oak Hill (LSD-51} en route to the waters off Long Island to assist in the search and recovery of victims and wreckage from TWA Flight 800, 23 July 1996. 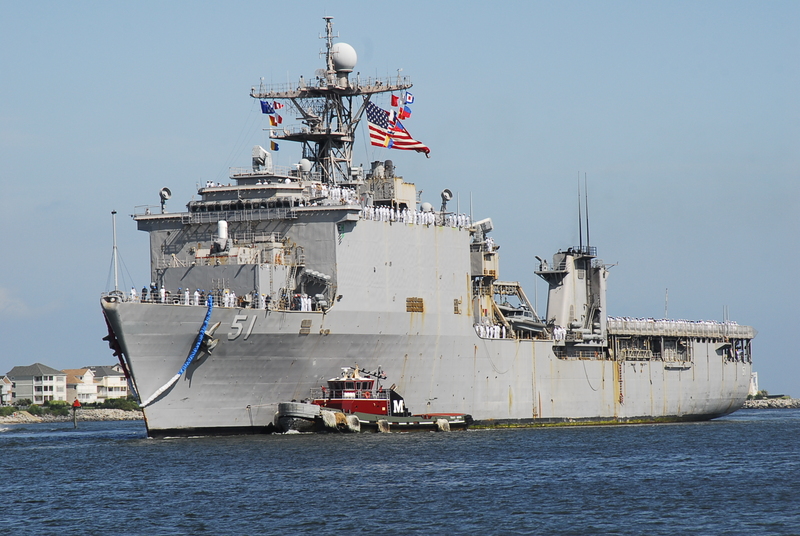 Oak Hill served as an afloat command post and at-sea base of operations for the Navy support effort. 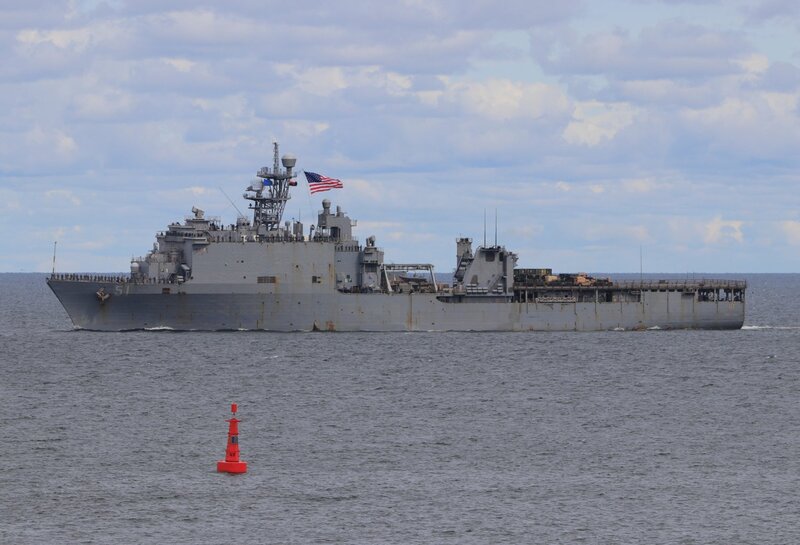 Oak Hill joined USS Grasp (ARS-51) and Navy diving, salvage and explosive ordnance disposal units on site. 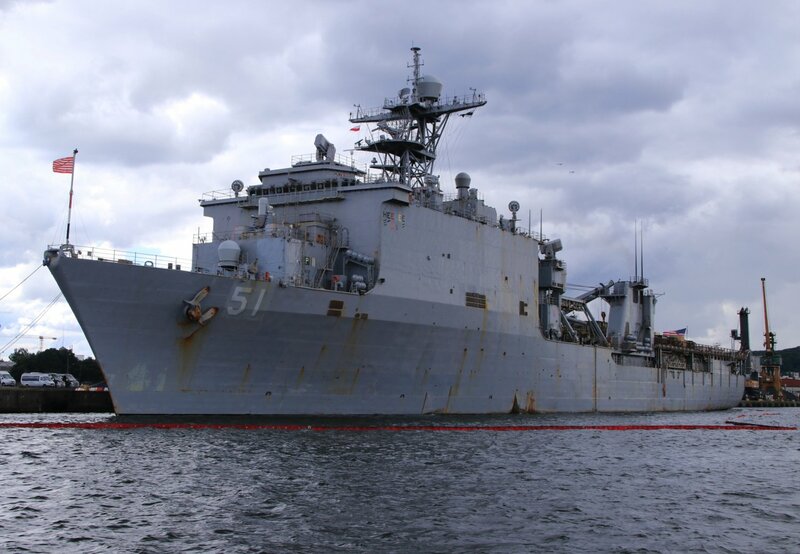 311k USS Oak Hill (LSD-51) moored in the background at NAB Little Creek, VA., 30 April 2004. as sailors man the rails aboard the Cyclone-class, coastal patrol craft USS Typhoon (PC-5) as she departs NAB Little Creek for an 18 month deployment with the USS Sirocco (PC 6). 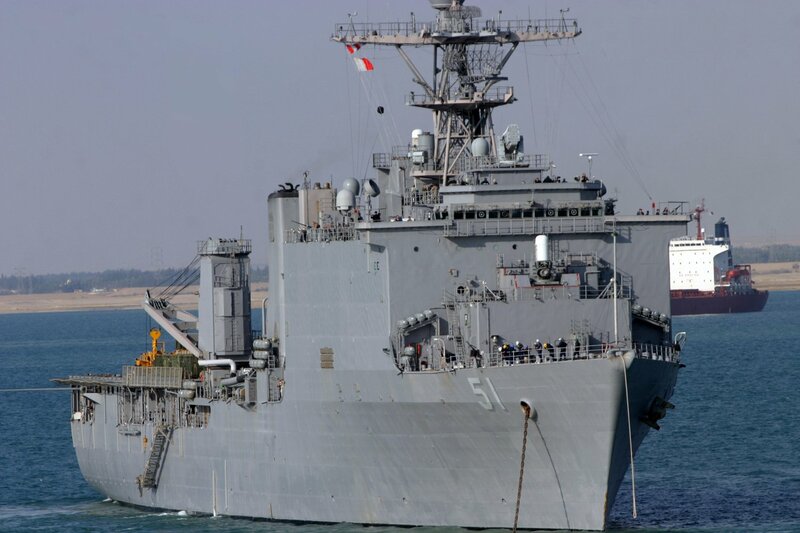 208k USS Oak Hill (LSD-51) at anchor in the Suez Canal, 30 January 2007. 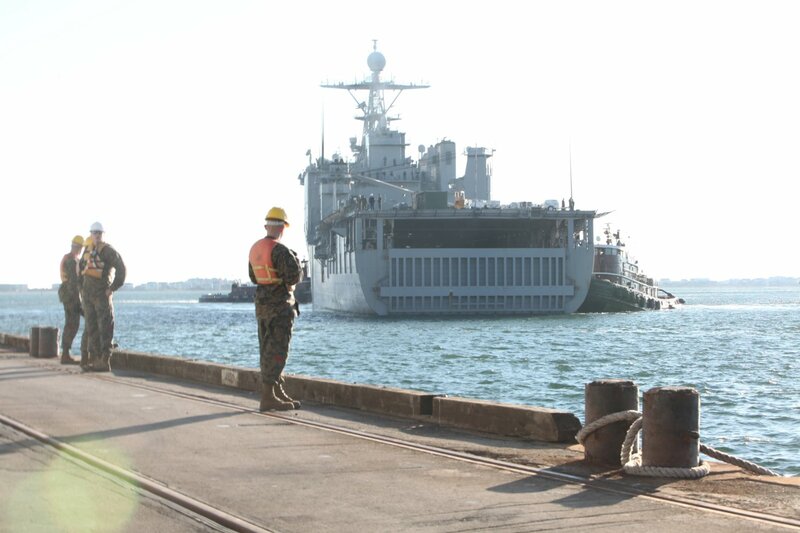 Oak Hill is part of the Bataan ESG deployed in support of the global war on terrorism. 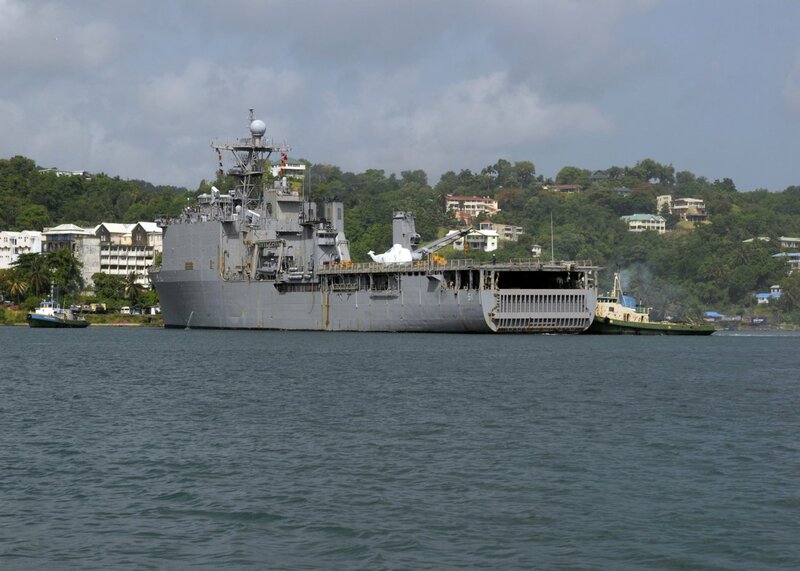 242k A tug helps turn USS Oak Hill (LSD-51) around in the bay at Castries, St. Lucia, before mooring pierside. 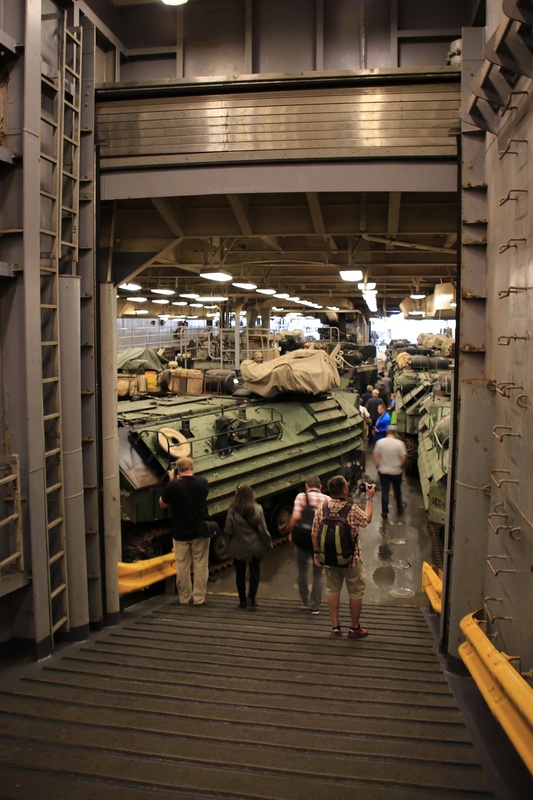 Oak Hill is participating in Southern Partnership Station '09, a combined naval and amphibious operation with Oak Hill and maritime forces from Argentina, Brazil, Chile, Peru, and Uruguay. 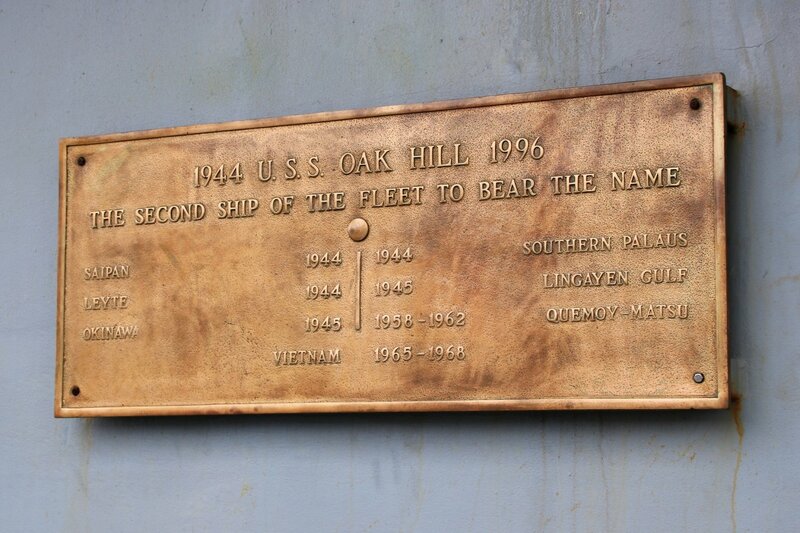 Oak Hill will also support U.S Marine Corps Forces South multinational Amphibious exercise Southern Exchange 2009. 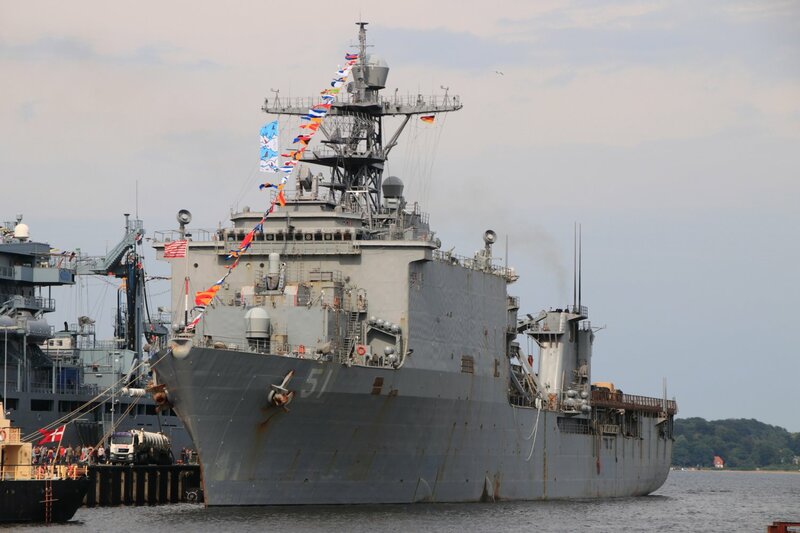 1664k A tug helps turn USS Oak Hill (LSD-51) returns home after nearly three months of operations in South America supporting Southern Partnership Station (SPS) 2009. 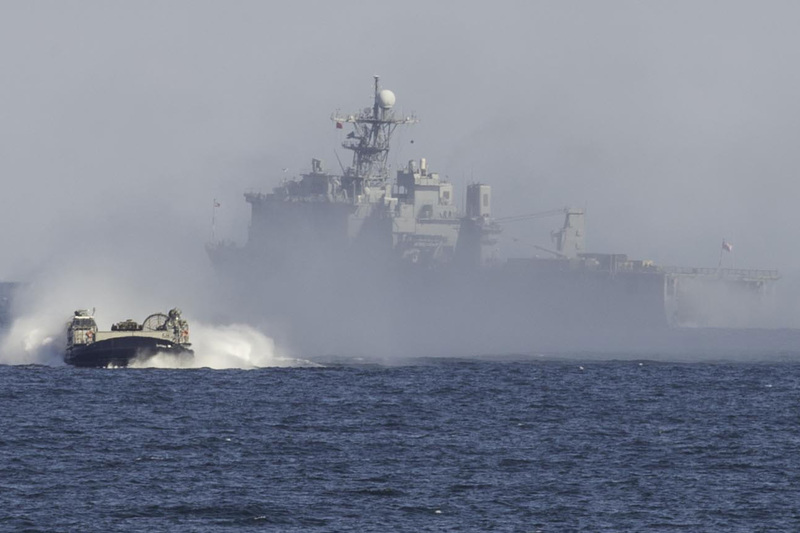 217k A Riverine command boat from Riverine Squadron (RIVRON-2) departs the well deck of USS Oak Hill (LSD-51) after the completion of a Riverine well deck certification. 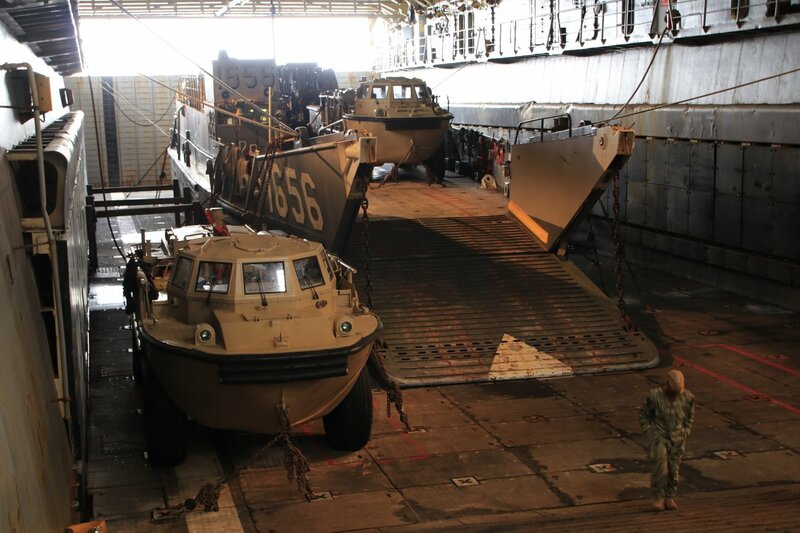 The Riverine Force is a combat-arms force that performs point defense, fire support and interdiction operations along inland waterways to defeat enemies and support coalition forces. 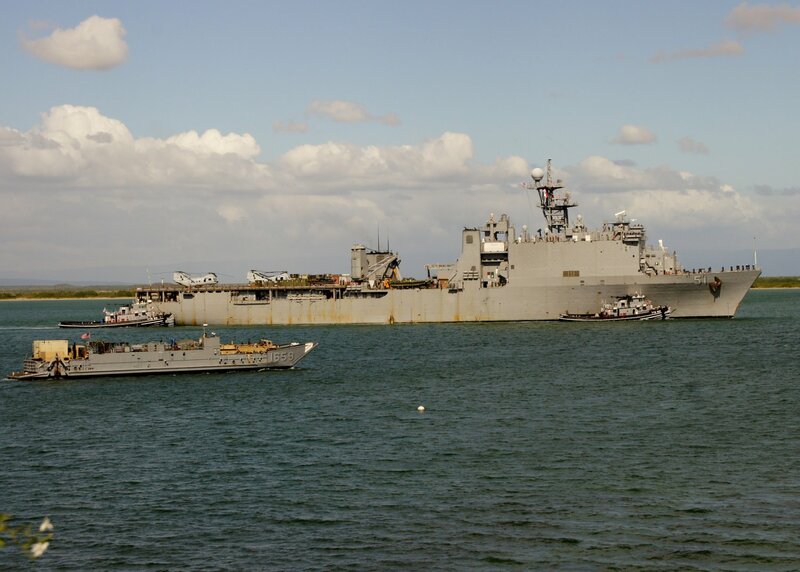 242k USS Oak Hill (LSD-51) assisted by tugs Dakanawida (YTB-831) and Wanamassa (YTB-820) arrives at Naval Station Guantanamo Bay, Cuba, to conduct agricultural counter-measure wash downs of all embarked equipment. 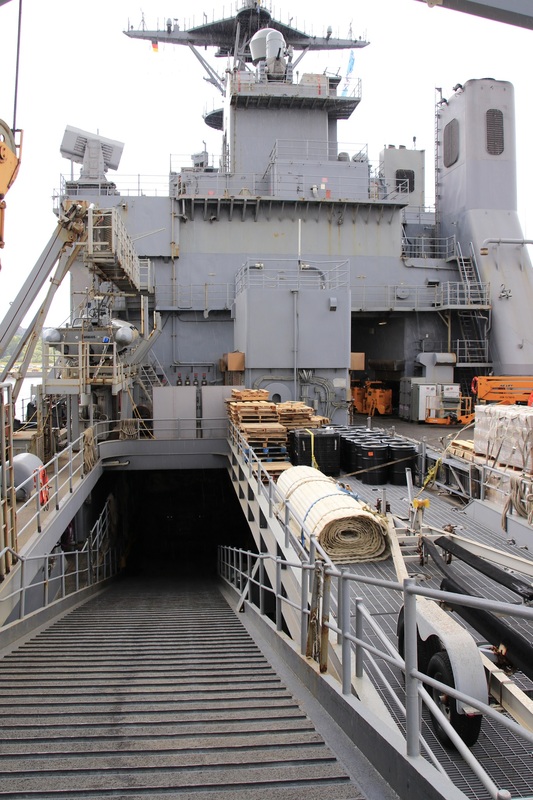 Guantanamo Bay is Oak Hill's final port visit before returning to the U.S. after supporting Amphibious Southern Partnership Station 2011 in the Caribbean. 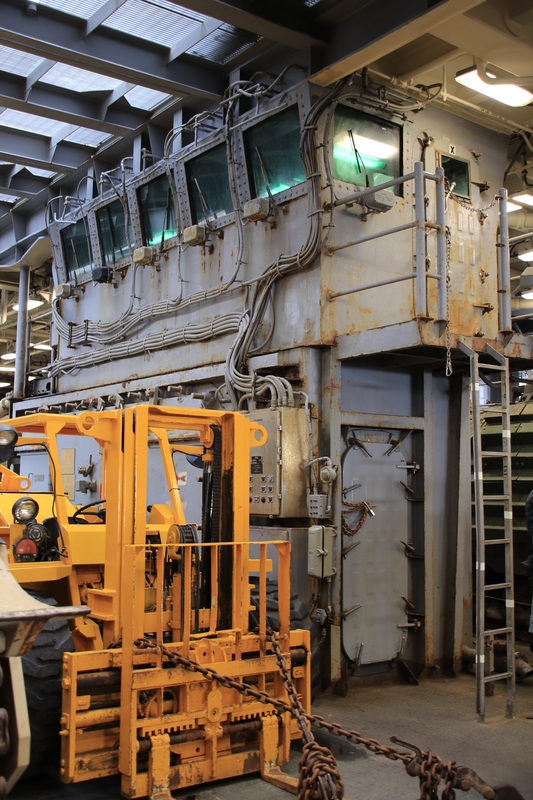 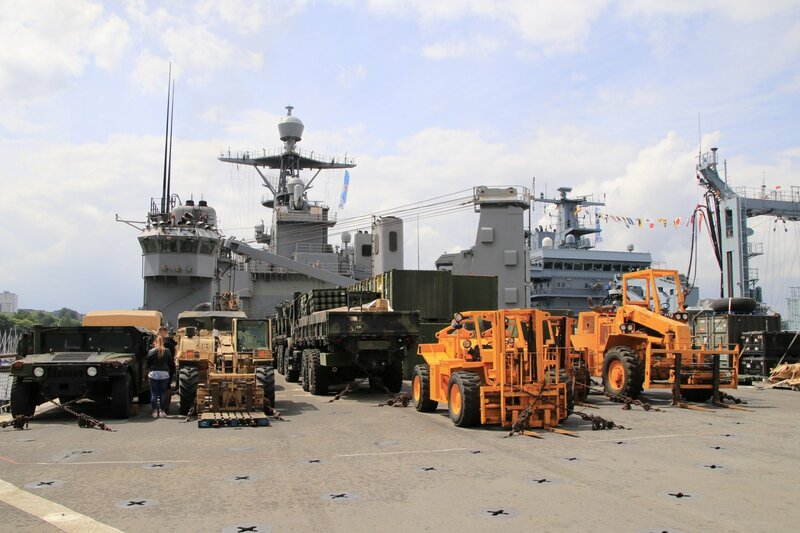 Oak Hill supported Southern Partnership Station 2012, an annual deployment of U.S naval assets in the U.S. Southern Command area of responsibility. 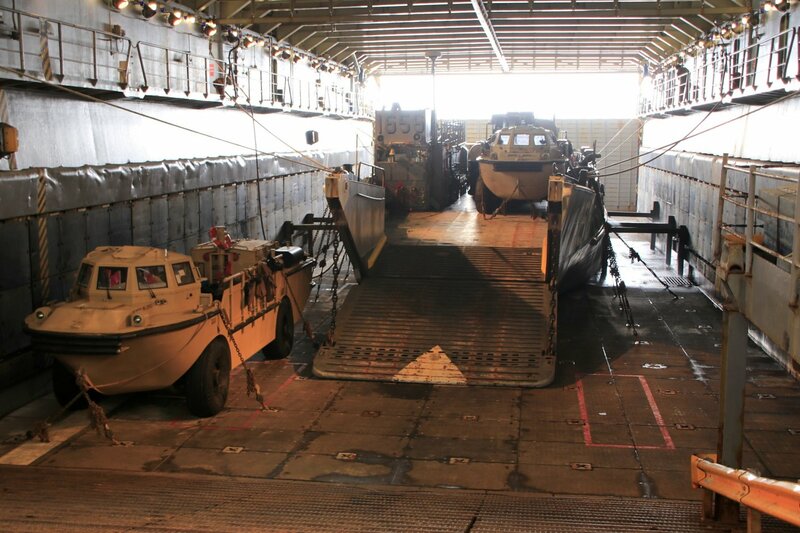 LCU 1659 is moving vehicles for wash down. 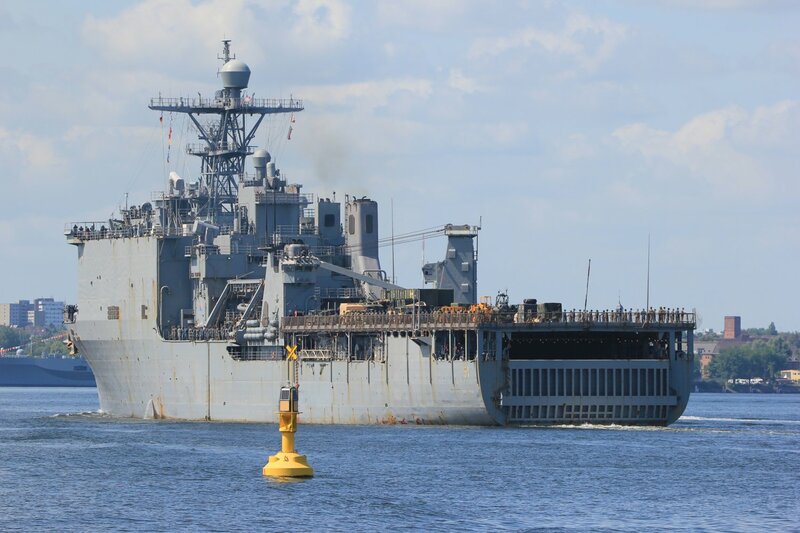 178k Marine line-handlers wait on the pier while USS Oak Hill (LSD-51) arrives carrying more than 150 Marines with Marine Wing Support Squadron (MWSS-274). 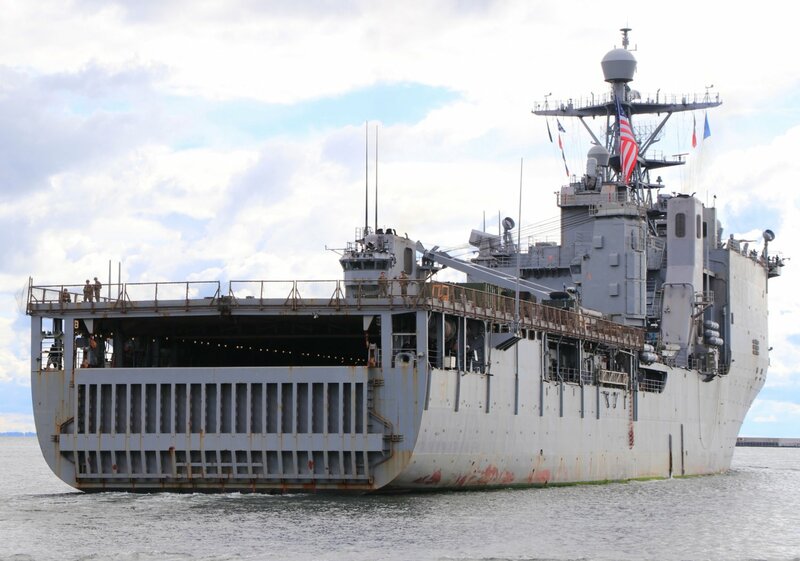 The Marines will return home to Marine Corps Air Station Cherry Point, N.C., on 21 December 2011, following a three-month deployment with the Amphibious-Southern Partnership Station (A-SPS) 2011 to Honduras, Columbia and Guatemala. 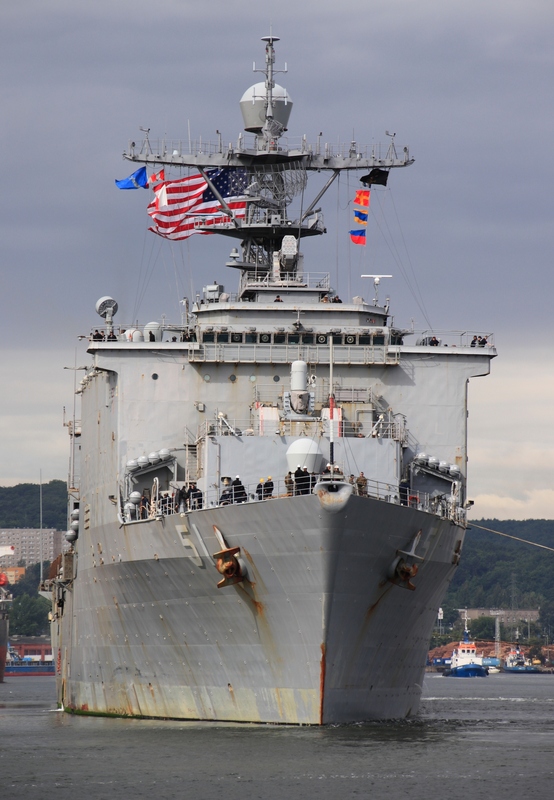 A-SPS is an annual deployment of U.S. ships to the U.S. Southern Command's area of responsibility in the Caribbean and Latin America. 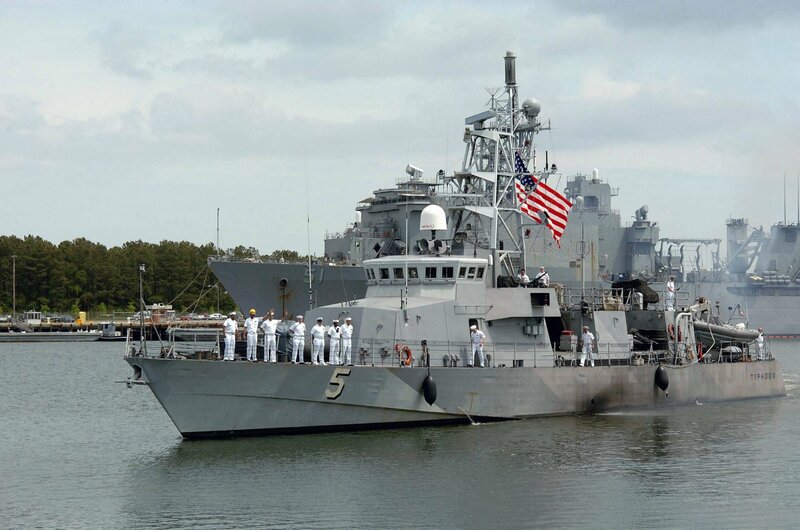 The exercise involves information sharing with navies, coast guards and civilian services throughout the region. 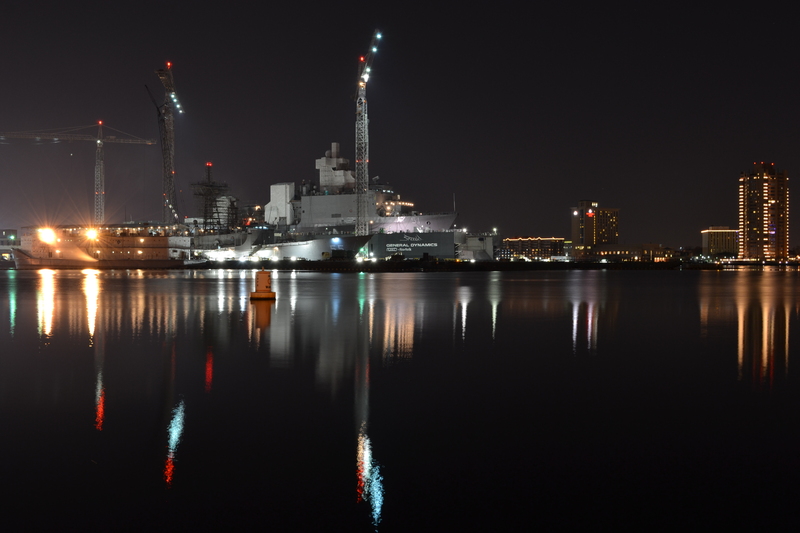 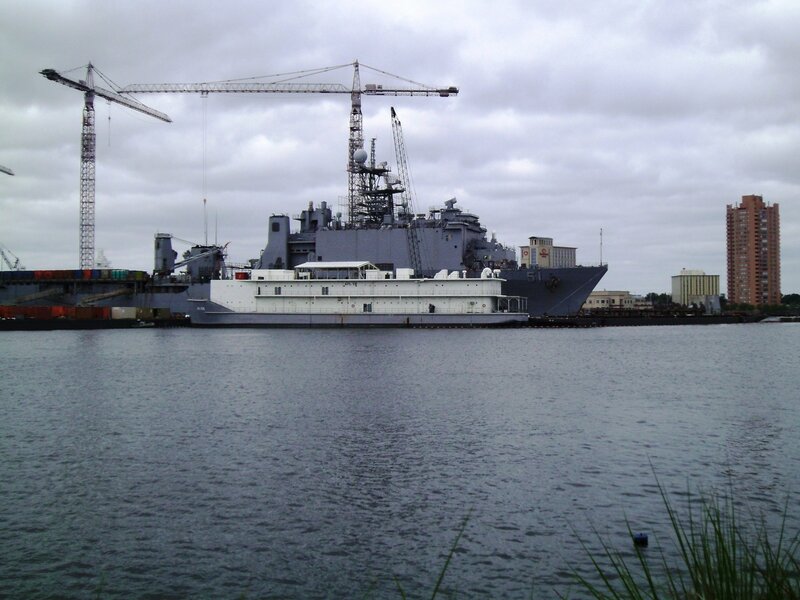 3692k USS Oak Hill (LSD-51) moored across from USS Elrod (FFG-55) at General Dynamics NASSCO-Norfolk Shipyard, Norfolk VA, in November 2012. 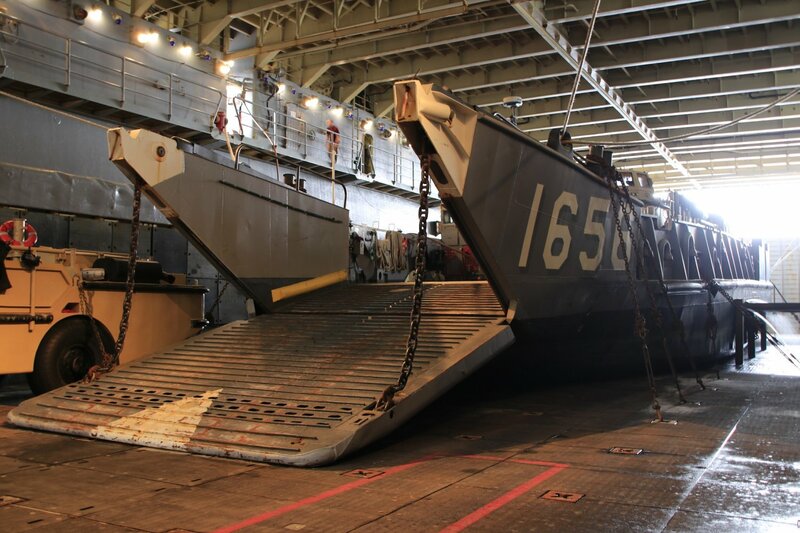 168k A landing craft air cushion (LCAC) departs USS Oak Hill (LSD-51) during Bold Alligator 2014. 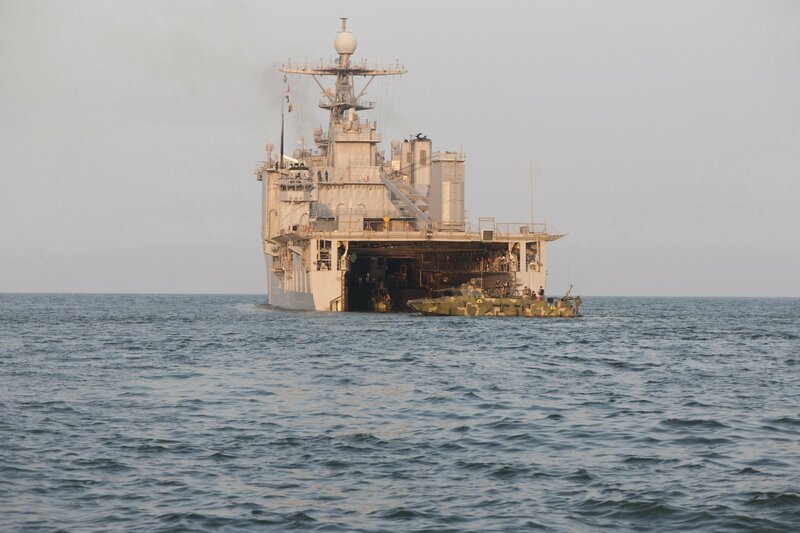 Bold Alligator is intended to improve Navy and Marine Corps amphibious core competencies while working with coalition, NATO, allied and partner nations The exercise takes place 29 October through 10 November 2014, afloat and ashore along the Eastern Seaboard. 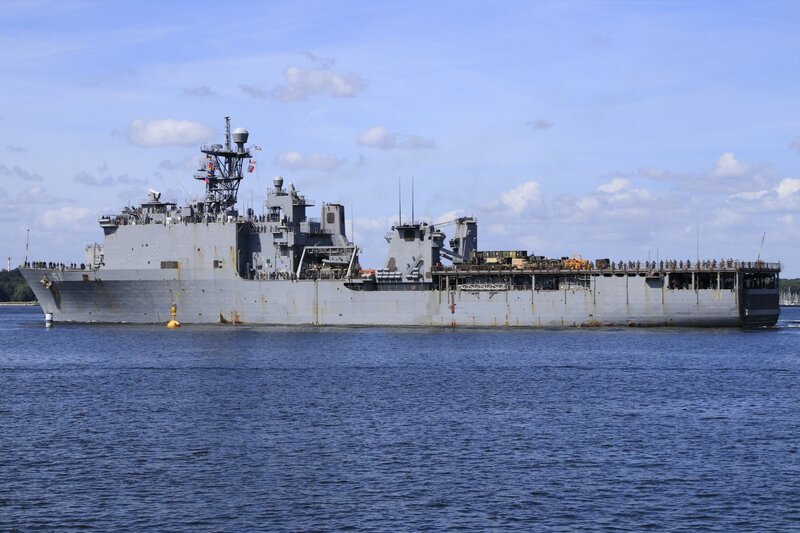 336k USS Oak Hill (LSD-51) under way with the Kearsarge Amphibious Ready Group (ARG) and the 26th Marine Expeditionary Unit (26th MEU) participating in ARG/MEUEX, a scenario-based amphibious integration exercise, in preparation for a future deployment. 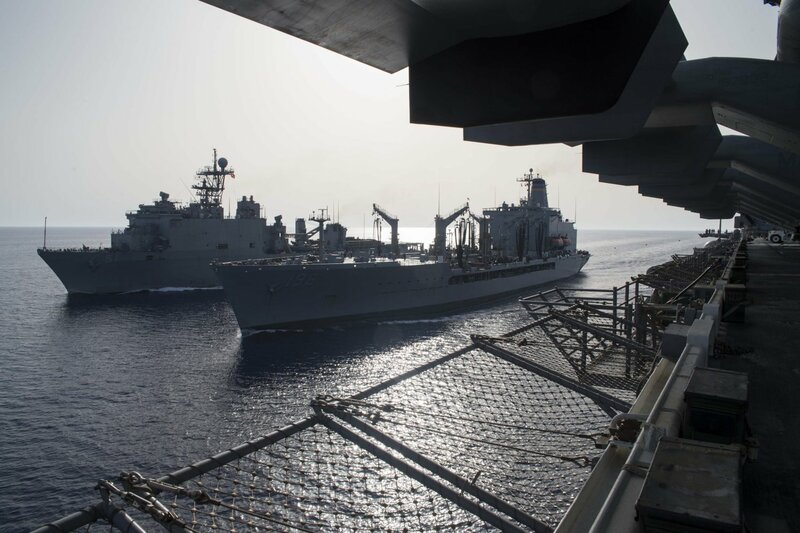 254k The amphibious assault ship USS Kearsarge (LHD-3) and USS Oak Hill (LSD-51) pull alongside the Dry Cargo/Ammunition Ship USNS Carl Brashear (T-AKE-7) during a replenishment-at-sea (RAS). 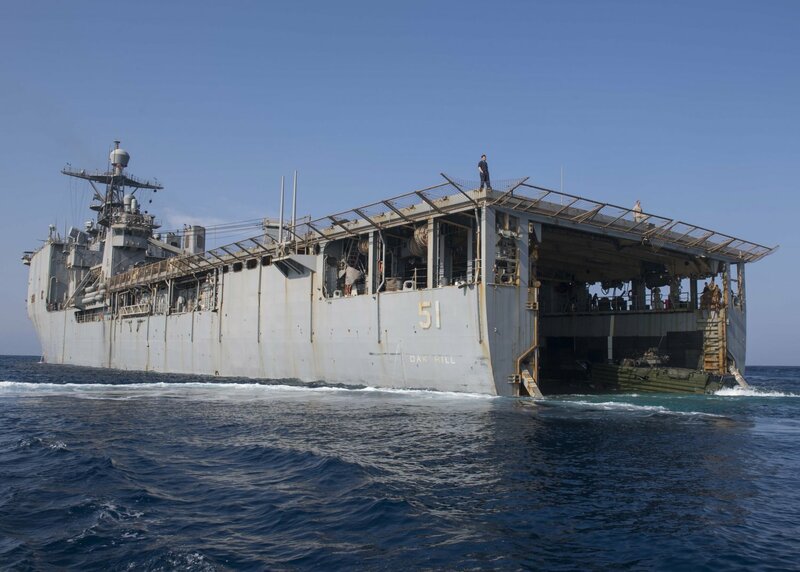 Kearsarge is the flagship for the Kearsarge Amphibious Ready Group (ARG) and, with the embarked 26th Marine Expeditionary Unit, is deployed in support of maritime security operations and theater security cooperation efforts in the U.S. 5th Fleet area of operations. 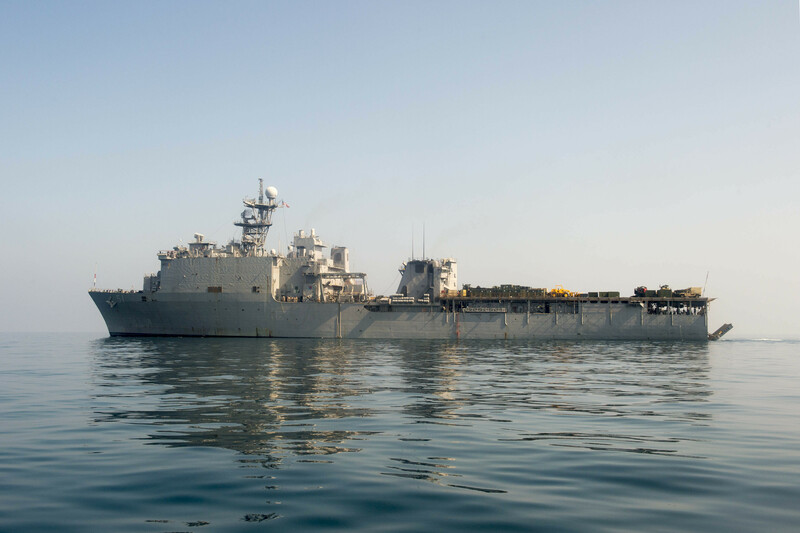 1146k USS Oak Hill (LSD-51) transits the Southern Arabian Gulf. 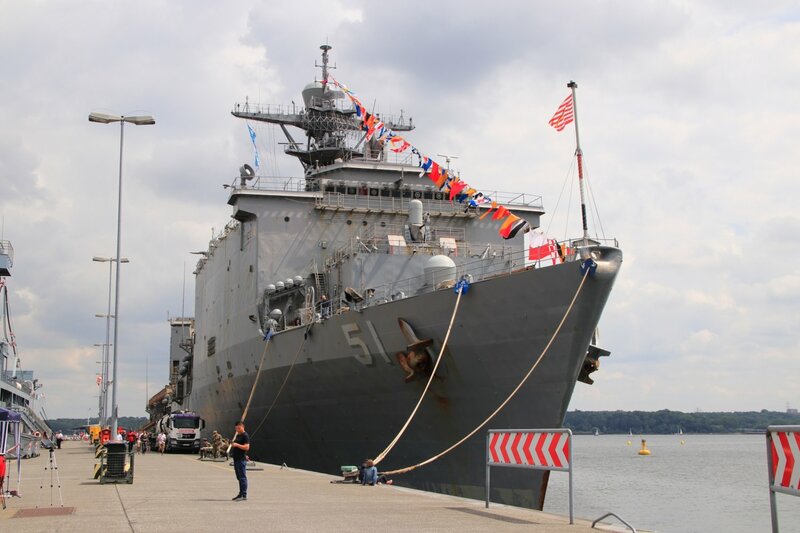 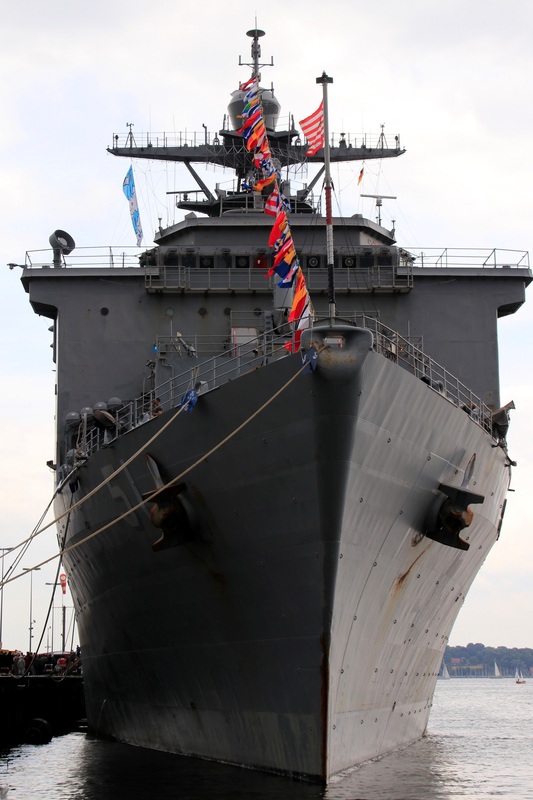 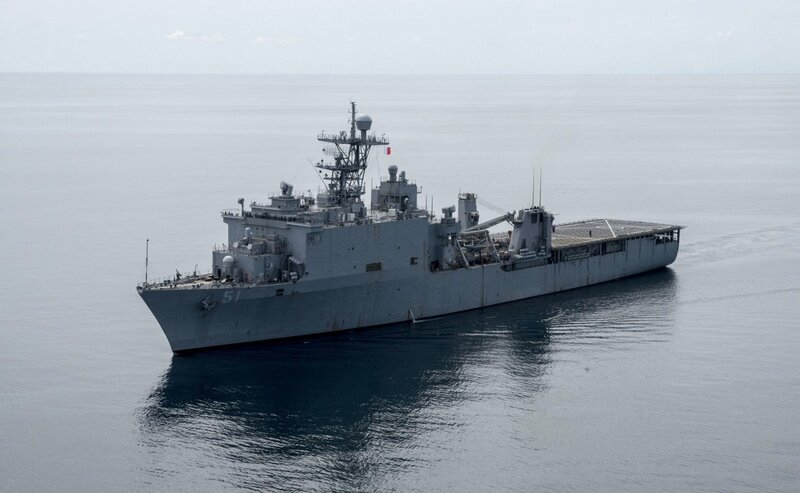 Oak Hill is part of the Kearsarge Amphibious Ready Group (ARG) and with the embarked 26th Marine Expeditionary Unit (26th MEU), is deployed in support of maritime security operations and theater security cooperation efforts in the U.S. 5th Fleet area of operations. 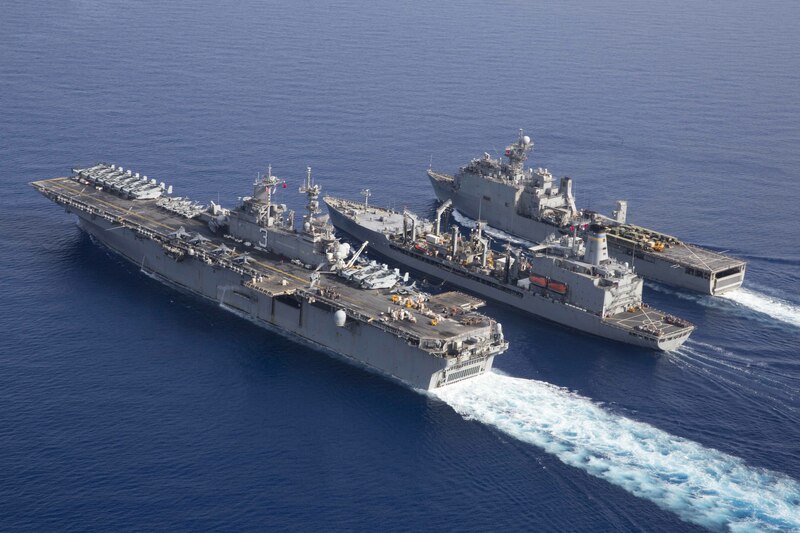 961k The amphibious assault ship USS Kearsarge (LHD-3) and USS Oak Hill (LSD-51) transit alongside the Military Sealift Command fleet replenishment oiler USNS Kanawha (T-AO-196) (center), during a replenishment-at-sea (RAS). 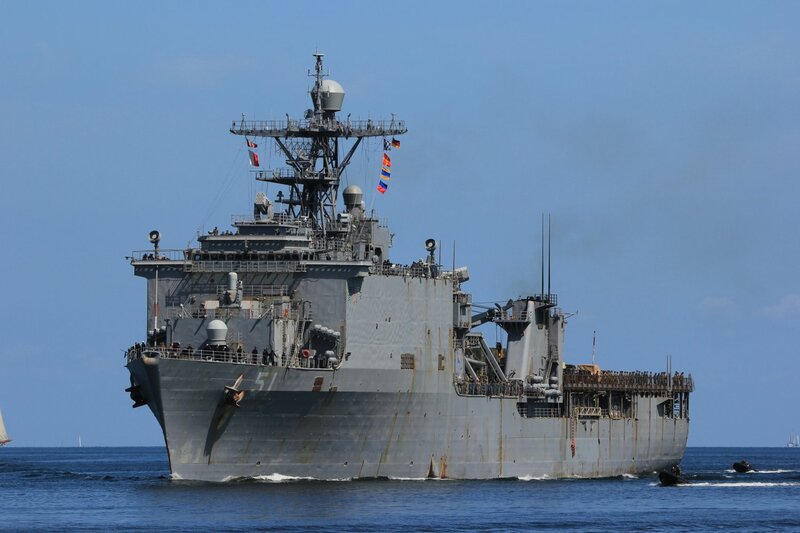 Kearsarge, a Wasp-class amphibious assault ship, deployed as part of the Kearsarge Amphibious Ready Group/26th Marine Expeditionary Unit, is conducting naval operations in the U.S. 6th Fleet area of operations in support of U.S. national security interests in Europe. 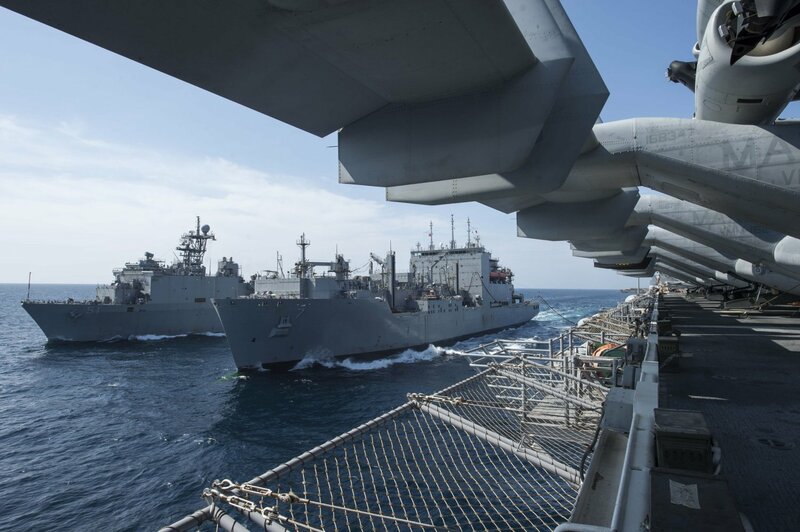 269k The amphibious assault ship USS Kearsarge (LHD-3) and USS Oak Hill (LSD-51) pull alongside the Military Sealift Command fleet replenishment oiler USNS Kanawha (T-AO-196) (center), during a replenishment-at-sea (RAS). 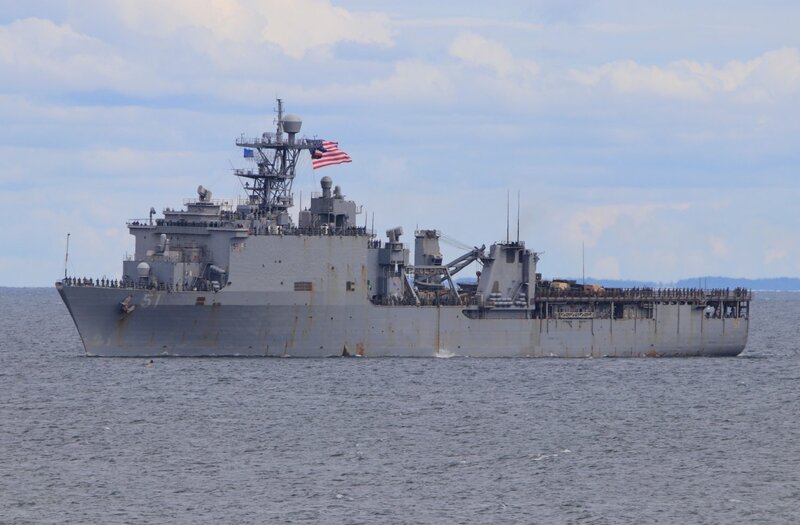 Kearsarge, a Wasp-class amphibious assault ship, deployed as part of the Kearsarge Amphibious Ready Group/26th Marine Expeditionary Unit, is conducting naval operations in the U.S. 6th Fleet area of operations in support of U.S. national security interests in Europe. 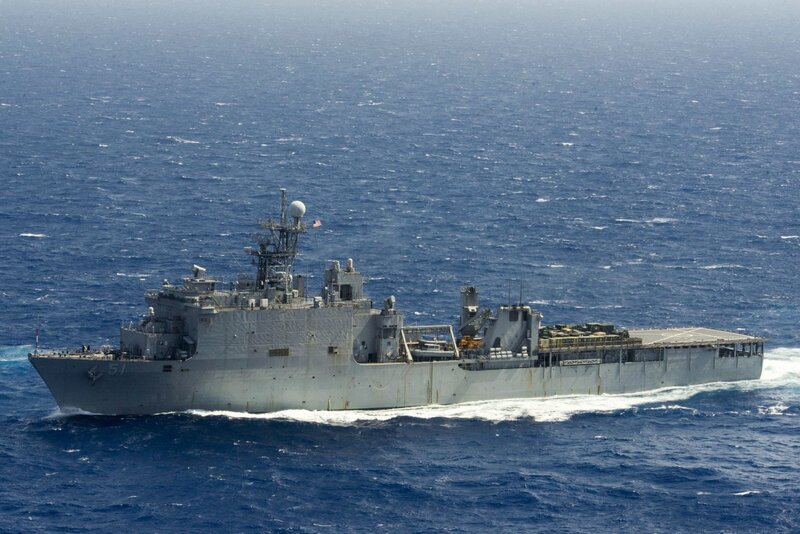 185k USS Oak Hill (LSD-51) is under way in preparation for humanitarian assistance and disaster relief. 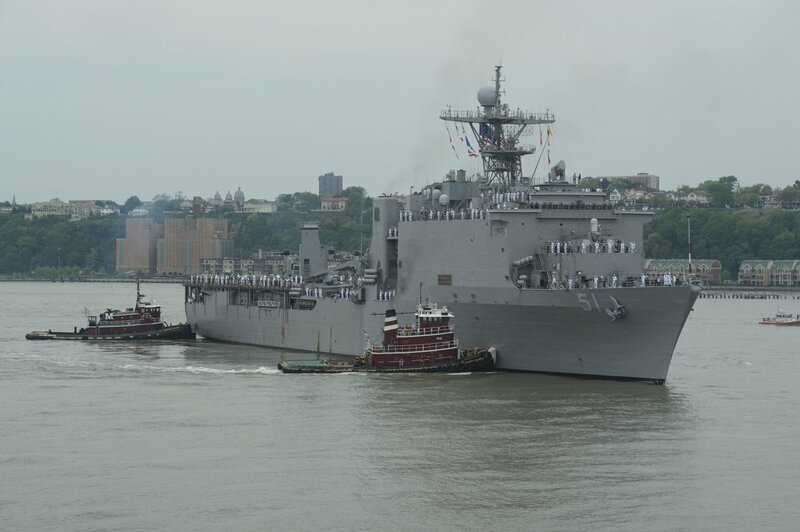 188k USS Oak Hill (LSD-51) is under way in support of hurricane relief efforts in the aftermath of Hurricane Maria. 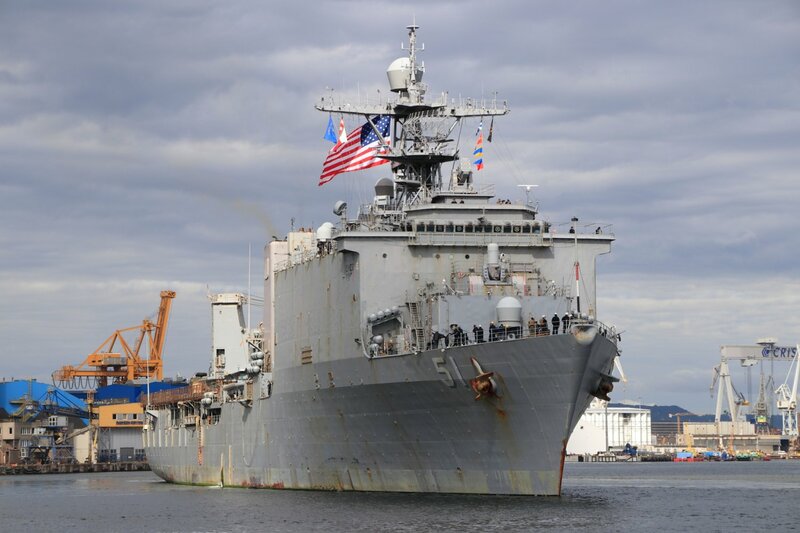 The Department of Defense is supporting the Federal Emergency Management Agency (FEMA), the lead federal agency, in helping those affected by Hurricane Maria to minimize suffering and is one component of the overall whole-of-government response effort. 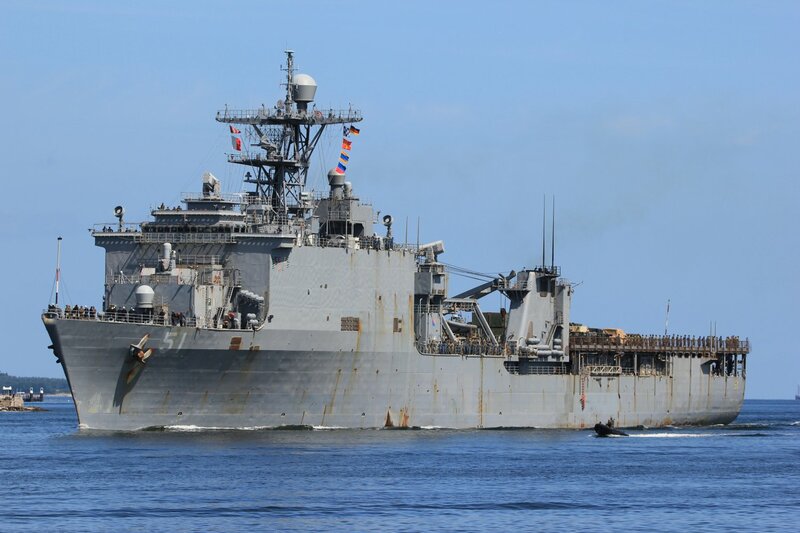 203k USNS Patuxent (T-AO-201) left, steams alongside the Harpers Ferry-class dock landing ship USS Oak Hill (LSD-51) during a replenishment-at-sea. 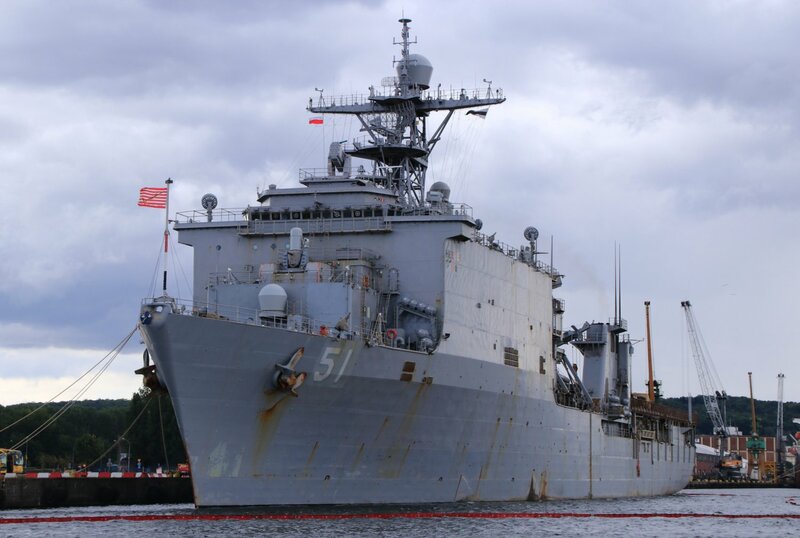 Oak Hill is homeported in Virginia Beach, VA., and is conducting naval operations in the U.S. 6th Fleet area of operations. 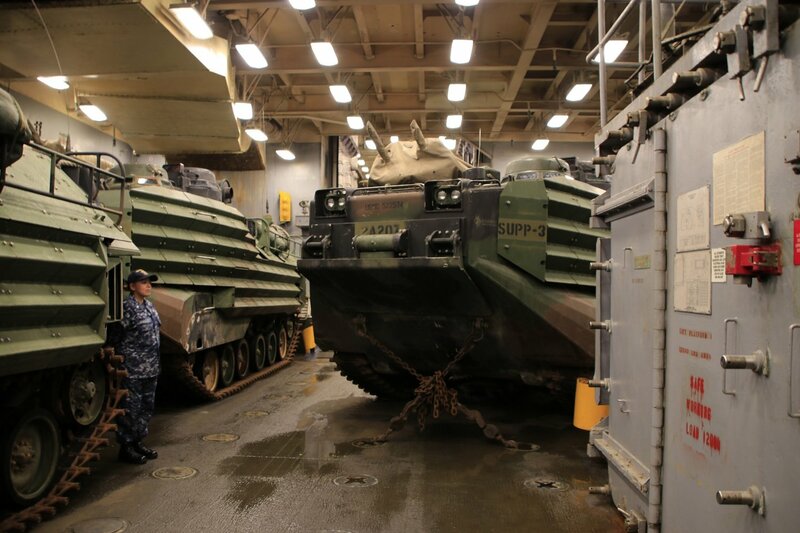 248k An AAV-P7/A1 assault amphibious vehicle attached to the 26th Marine Expeditionary Unit (26th MEU), enters the well deck of USS Oak Hill (LSD-51). 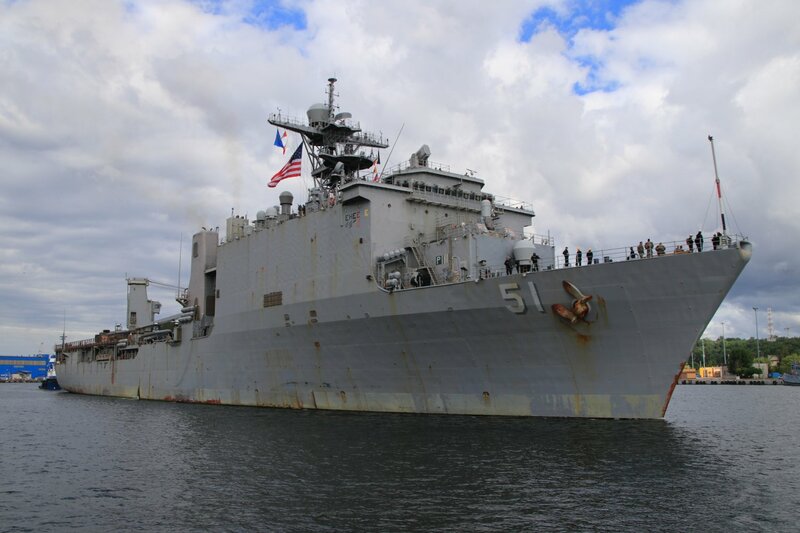 Oak Hill is on a regularly scheduled deployment to the U.S. 5th Fleet area of operations in support of maritime security operations to reassure allies and partners, and preserve the freedom of navigation and the free flow of commerce in the region.